The pCon.planner is a cost-free application allowing you to comfortably and professionally create complex furnishing concepts and to visualize them in a photo-realistic quality. The pCon.planner allows you to access the web catalogs of numerous manufacturers and dealers in the furnishing industry. 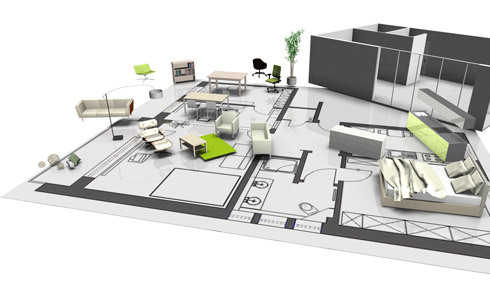 You load the objects directly into your planning and thus equip the rooms with real high-quality 3D models.